In Germany, just like in many other countries, it is mandatory by law to have your baby insured with private or public health insurance. SelberMakler provides private health insurance for new-born babies with a bonus cash back. 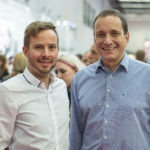 With the help of tools such as Pipedrive, their workflow has been completely digitized compared to how the rest of Germany works, with paper. Thanks to their lean workflow and processes, SelberMakler has no need to charge high commissions. Now they can afford to give cash backs to their customers, which gives them a huge advantage in the market. 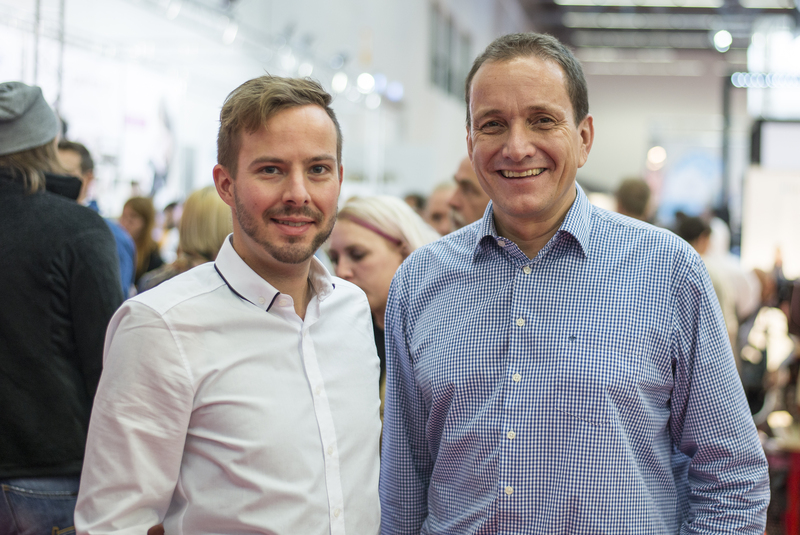 Christoph and Markus, founders and salespeople of SelberMakler, literally started with nothing. They had no spreadsheets, no CRM to manage their contacts and deals, just a Google account. Mainly, they were using Gmail and organized their leads with labels, keeping only a few notes in Google Contacts. They soon realized that this solution was not a good one and they needed a better one, fast. Before Pipedrive, they did try using another kanban software, Asana, which was a great tool for project management but not for sales. They just didn’t find themselves using it, so they moved on. 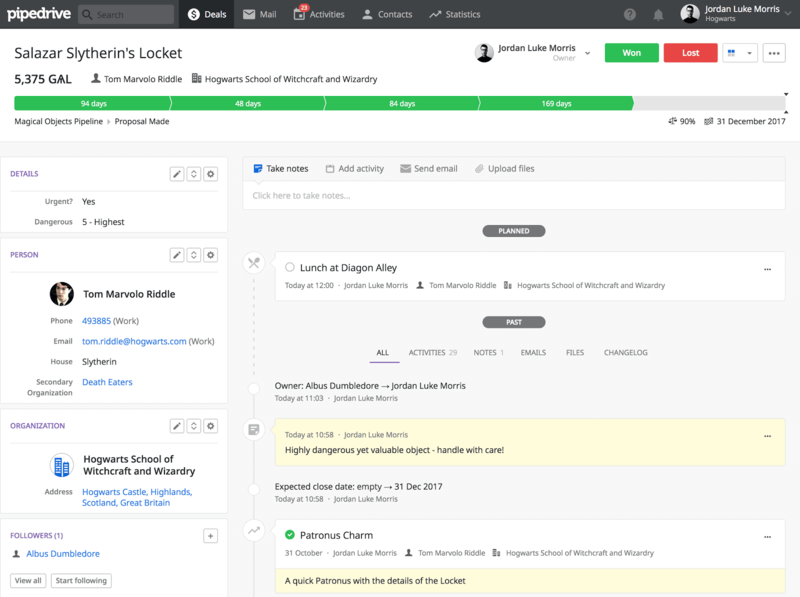 Don’t get me wrong, Asana is awesome, in fact, we just built a direct integration with them. Then, a friend of Christoph from the Berlin Tech scene suggested Pipedrive as a sales CRM. As soon as Christoph signed up for Pipedrive, he started building a pipeline to fit their sales process. They immediately started using real data, no messing around with dummy data. For them, this was an extremely important step to take, it gave them a much better feeling of the platform. At first, they realized that they had too many stages, so they decided to cut down, making their sales process even more streamlined than before. After, Christoph and Markus started playing around Pipedrive more and more, by adding custom fields, looking into integrations, and automating tedious processes. 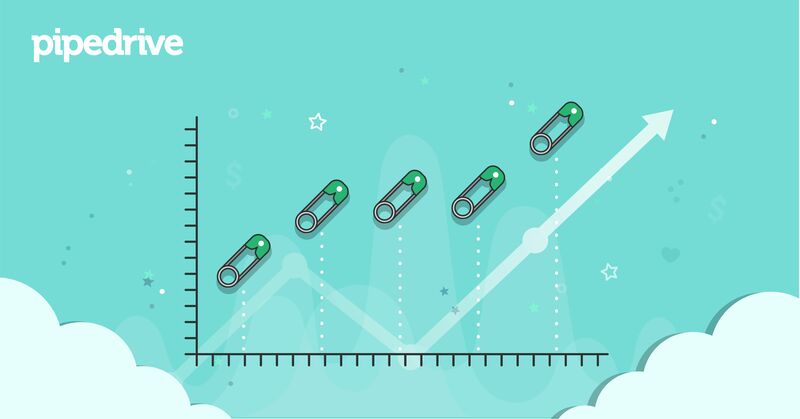 Roughly 90% of their leads come through a signup form on their website, and this number grew by 30% after they attend a trade-show. The other 10% comes from a live-chat system on their website and phone calls. The leads from SelberMakler’s website then automatically land in their Pipedrive pipeline, and they start dealing with them (see what I did there). For SelberMakler, Pipedrive excels at giving them an immediate full overview and status of a deal. No more searching for lost emails and notes! Integrations were, at first, something that Christoph and Markus were not looking for. However, they soon realized that powerful integrations can practically perform magic. Pipedrive concentrates on what you do best, selling. However, with an open API, Pipedrive offers the socket for other softwares to plug in theirs, further empowering your sales process by connecting to your other tools. WebMerge with Zapier to generate documents that they send to their clients. TextMagic with Zapier to send SMS updates, which the customers absolutely love. GravityForms to capture web leads, which automatically creates a deal, a person, an activity and a note with additional details in Pipedrive. They are currently considering switching to Pipedrive built-in web forms as it provides the same functionality. Slack notifications are crucial, this way Christoph and Markus are always in the loop. Pipedrive makes sure that you are on top of every past action of a deal/lead. You can check the entire history of a deal/lead easily from the details view. Immensely improve sales processes with tools such as full two-way email synchronization available on the Gold plan. Not only will you be able to send and view emails directly in Pipedrive, but also you can track who opens and clicks on them. Not to mention, email templates save a heap of time. 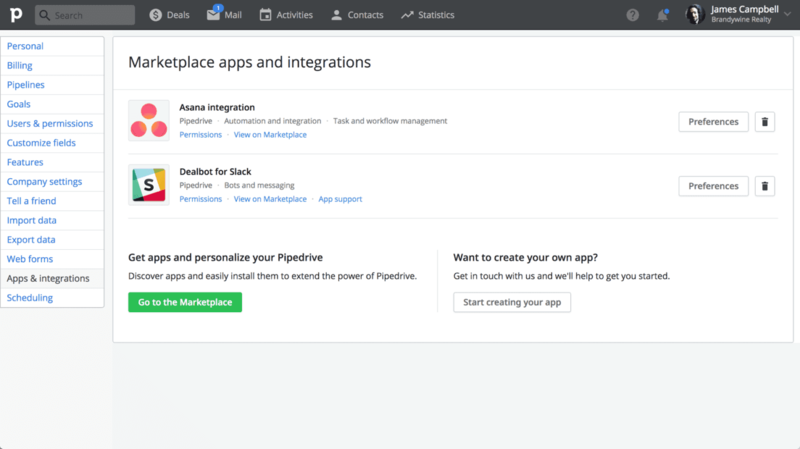 Expand Pipedrive by connecting seamlessly to other tools, such as Asana and Slack, with our new Marketplace, which can be found under Settings > Apps & integrations.